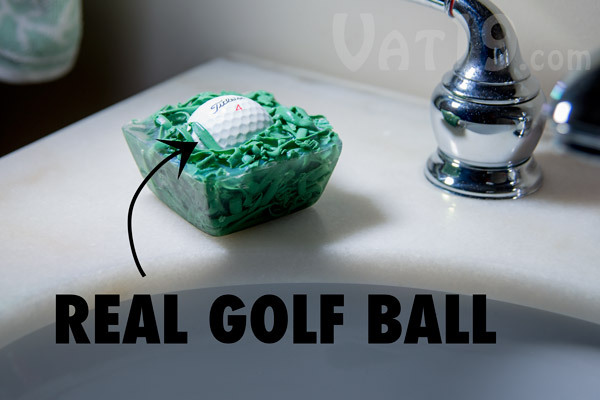 When you're done with the soap, you'll have a real golf ball. 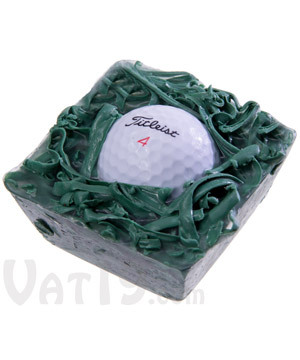 Every golfer will appreciate this bar of soap which includes a real golf ball nestled deep in the rough. Each In The Rough bar of soap includes 4 oz of skin soothing glycerine soap. What we found so cool about this bar of soap is that there's a real golf ball inside all that soap. The "bar" is approximately 3 inches x 3 inches. The soap is hand-made in the U.S. and is made from skin-friendly glycerine. When you're done with the soap, you've got a golf ball!